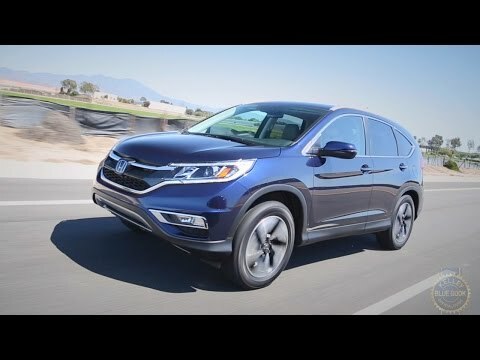 The 2016 Honda CR-V compact SUV continues a long tradition of excellence, taking top honors in almost every category that matters most to consumers and even a few that don't. From its excellent service history to its fuel-efficient 4-cylinder engine to its family-friendly interior, the CR-V is simply the compact-crossover SUV for those who want the best. Why I love my Honda CR-V. It is spacious and comfortable. I have had my Honda CR-V for two years, I bought it brand new with only 15 miles on it. So far I have not had any mechanical problems. I love the hands free Bluetooth function for my phone and love the rear camera. It is very spacious and comfortable with a lot leg room. I have more than enough space for luggage and camping gear when my husband and I go on vacation or camping. I have bottle holders in each of the door panels as well as a couple of cubby trays that is good for holding my odd's and ends. I have a spacious glove compartment box and additional storage in the center console that includes a charging station and an USB port that can be used as a charging station. I have two large cup holder, very important while drinking coffee on the road. I have adjustable sun visors that are great during those times that the sun is blinding me from the door windows. I have a rear ac vent for the back seat to keep passengers comfortable. I love the dashboard indicators that tell me when it is time to change my oil or the indicator that tells me if my tire is low or when it is time to have my tires rotated. This is the third Honda that I have had, the CR-V is by far my favorite. Highly reliable car that is light on gas consumption and has good space for a small family. I have a black 2016 Honda CR-V. I purchased it last year and so far have not had any issues with it. Since I bought it the only thing I've had to do was change the breaks as it was sitting for a while at the dealership and they were making noises due to a bit of rust when braking. From a performance perspective it gets great MPG but at the expense of quick speed. I find when I am on the highway it doesn't speed up as quick as I'd like it to when passing, however, I keep it in Eco mode most of the time to save on gas and that might be a cause of it. So far it has been very reliable and for the driver it's very comfortable and has plenty of legroom. My favorite feature is the side mirror and rear cameras as they make life a lot easier. I wish it had a left mirror camera to help with blind spots there though. I also like the bluetooth radio so I can stream songs from my phone. The speaker system however is not very loud and even with my phone on max, I feel like I have to turn up the speakers quite a bit to get it loud for a good song. I love my Honda: it is very reliable and good-look:). I like the look of my 2016 CR-V from the outside and the from the inside. Roomier than my 2011 crv. While driving it I noticed that my 2016 is more power than my 2011 too. I like the push-start button. Also, I like the smart entry feature that allow you to unlock the door without pressing the unlock button on your key. The smart entry feature allow to unlock the door just by pulling the door's handle. The 2016 CR-V also feature the lane watch which allow you to view the side right of the car when you are making a right turn. You also can activate lane watch feature while you are going straight by pressing the button on the end of turn signal handle, which I think is pretty cool stuff to have. The interior design and layout is also nicer than my 2011. The heated front seats are good thing to have too. I never have any problems with my Honda, whether the 2011 or 2016. I love it because it is very reliable and the fuel-mileage is not bad either. American Honda Motor Company, Inc. (Honda) is recalling certain model year 2016 CR-V vehicles manufactured October 12, 2015, to October 19, 2015. The metal housing surrounding the driver's air bag inflator in these vehicles may have been manufactured incorrectly. Honda will notify owners, and dealers will replace the driver side frontal air bag module, free of charge. The recall began in November 2015. Owners may contact Honda customer service at 1-888-234-2138. Honda'a number for this recall is JV9. The reduced performance may result in an engine stall, increasing the risk of a crash. Honda will notify owners, and dealers will inspect the engines and replace the incorrect components, as necessary, free of charge. The recall began June 20, 2017. Owners may contact Honda customer service at 1-888-234-2138. Honda's number for this recall is KF6.